Home » Competition » South Africa » Carolina Hassan‎ IT’S GIVEAWAY TIME!!! WIN, WIN & WIN!!! Carolina Hassan‎ IT’S GIVEAWAY TIME!!! WIN, WIN & WIN!!! 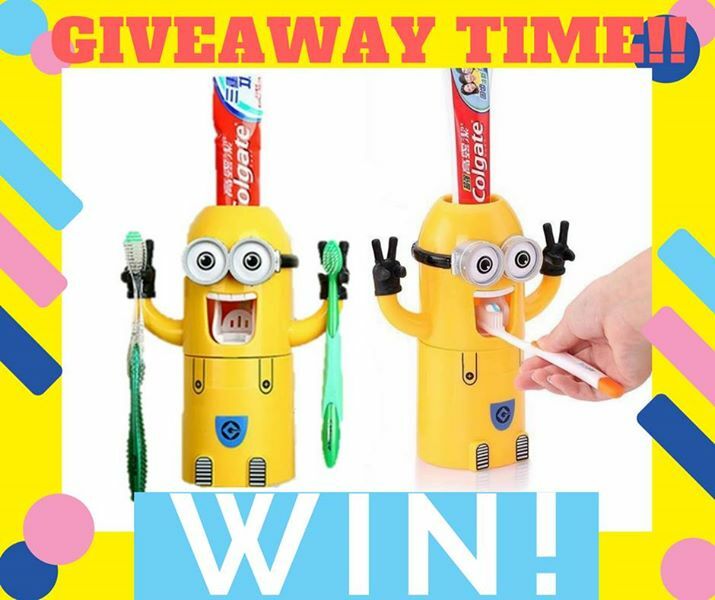 We are GIVING AWAY to one lucky winner a MINIONS AUTOMATIC TOOTHPASTE DISPENSER + 2 TOOTHBRUSH HOLDER SET!! Including FREE DELIVERY to your door!! 2. SHARE the competition post in our Facebook Page Goodiehood South Africa - TAGGING 5 of your friends as you share.